JC Sulzenko's Bootquet, originally uploaded by johnwmacdonald. Children's author JC Sulzenko launched her latest book at the Archives & Library to a huge crowd of all ages. 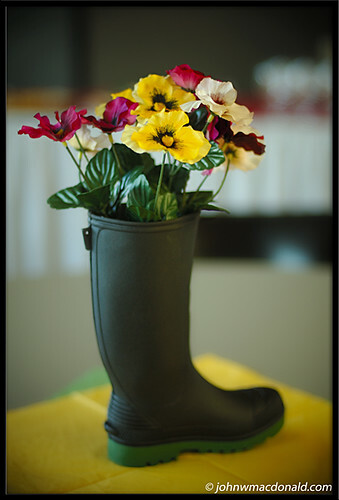 Here's a boot filled with flowers I dub a 'bootquet'. An evening with the author and illustrator, featuring readings, a talk on the publication of the book, and book signings. Refreshments will be served; children are very welcome.